Old Fashioned banana cupcakes are the best! Lately I’ve been returning to some of my earliest recipes. Things I made just because they tasted amazing. No frills, or fuss, just what we love to eat. 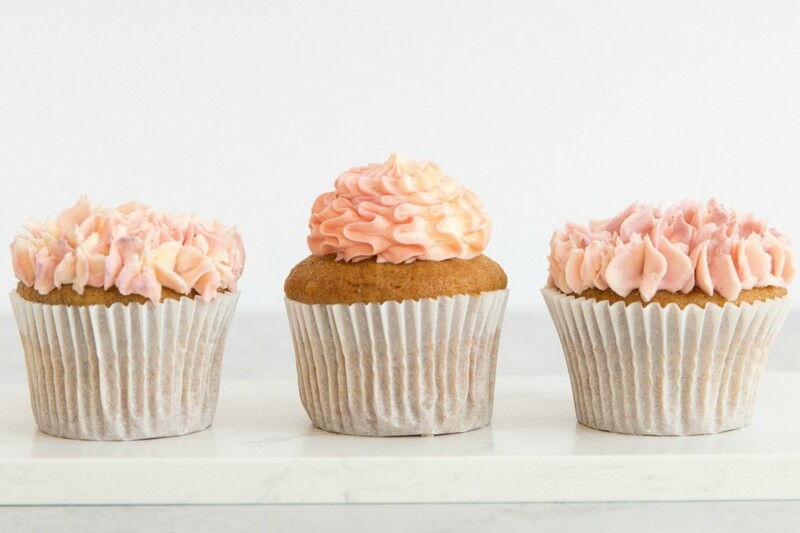 I decided to give my banana cupcakes an overhaul, and see if I could make them look a little bit fancy! Now these are made with a delicious cream cheese. It does make piping a little bit tricky, so I recommend placing the bowl of frosting in the fridge for 40 minutes or so, stirring occasionally if you choose to colour it like I did. It can get a touch on the soft side in warmer weather. But hey, it’s all about that cream cheese taste! 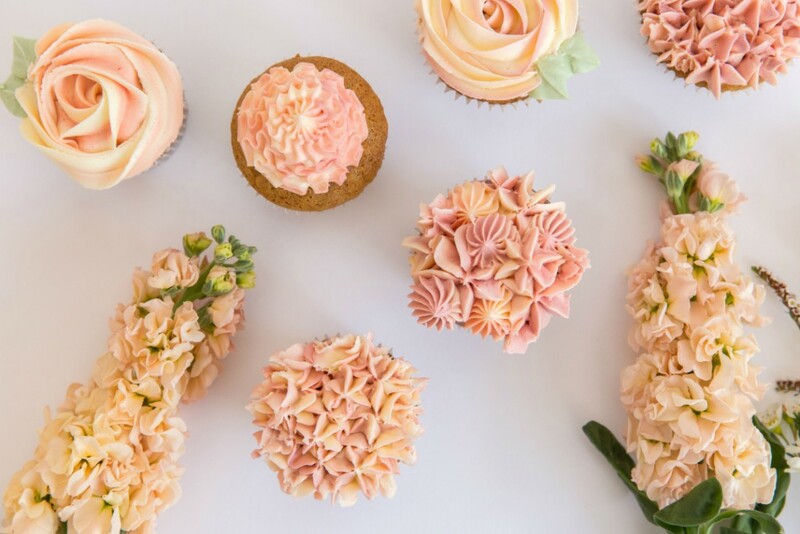 I used a bunch of star tips on these, and coloured the frosting with Wilton Creamy Peach, and Sugarflair Dusty Pink to get these gorgeous shades. Preheat oven to 175°C / 350°F. Line muffin tins with cupcake papers. In and smaller bowl, mash the bananas. 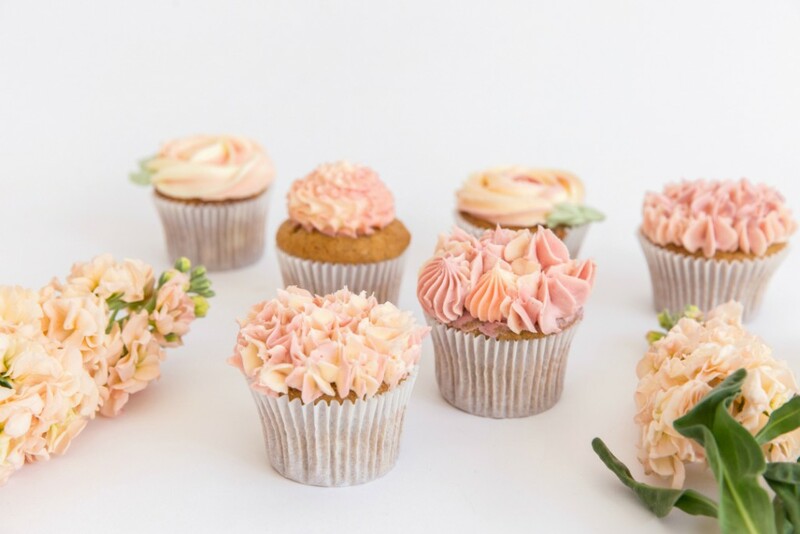 Carefully spoon the batter into the cupcake liners, or fill using a piping bag, filling them three-quarters full. Add the icing sugar, one cup at a time, until well combined. Beat mixture on high for 5 mins, occasionally turn the mixer off, and scrape down the sides with a spatula. Store in the refrigerator or use immediately. 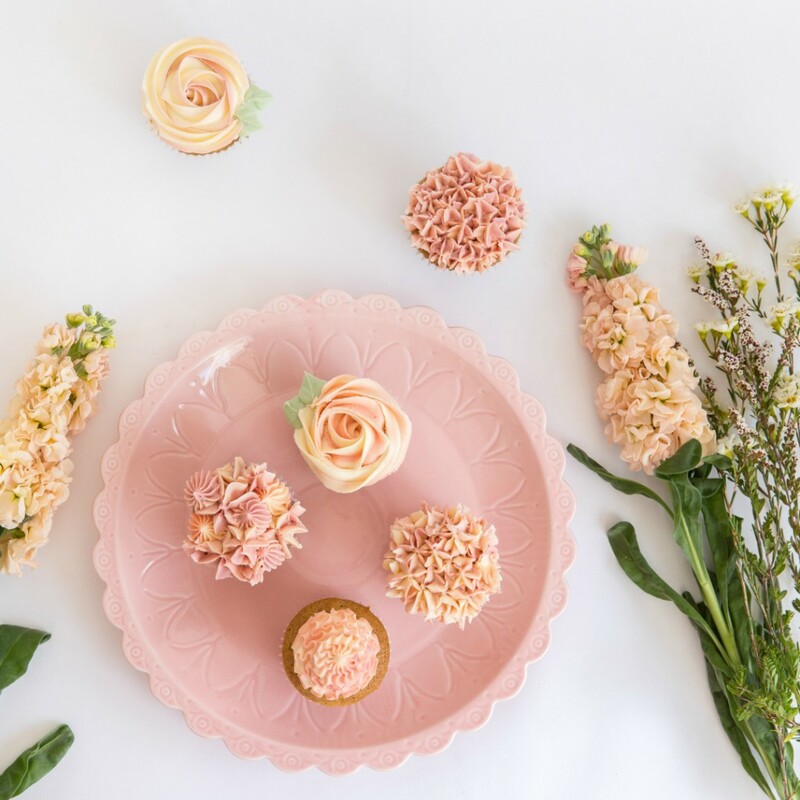 Special thanks to Renee Bell for these gorgeous images, and Ladelle, for that stunning cake plate.